CARICOM Day is a common holiday for many countries of the Caribbean Community. For instance, Guyana annually celebrates this holiday on the first Monday in July. The Caribbean Community was established on July 4, 1973. It coordinates economic policies and development planning, institution of special projects in the less-developed member countries. The headquarters of CARICOM is situated in Georgetown, Guyana. The main document that regulates relations inside of CARICOM is the Treaty of Chaguaramas. It was signed by representatives from Barbados, Jamaica, Guyana, Trinidad and Tobago. Later 11 more countries joined the community. Originally the community united only English-speaking countries, but when a Dutch-speaking Suriname and French-speaking Haiti were added, CARICOM became a multilingual community. The day when the Treaty of Chaguaramas was signed is a very important date in Guyana and other state members of CARICOM. 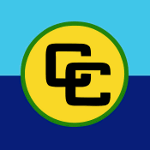 They annually celebrate this anniversary as CARICOM Day.